Scuba diving themed novelty license plates. 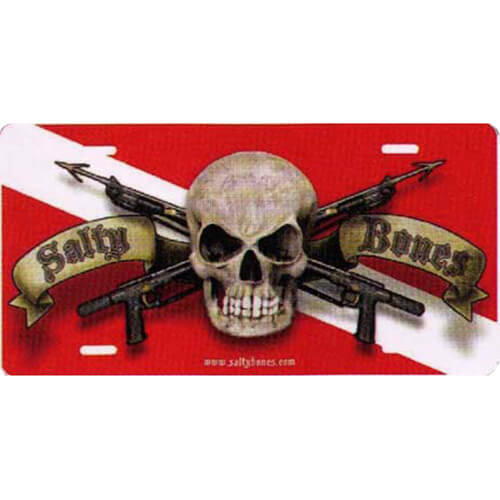 "Salty Bones" skull and spear guns cross, on a scuba dive flag background. 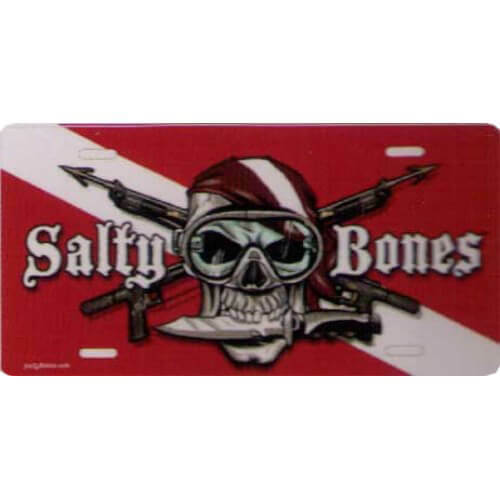 "Salty Bones" skull and crossbones wearing a dive mask and a knife in mouth on a dive flag background. 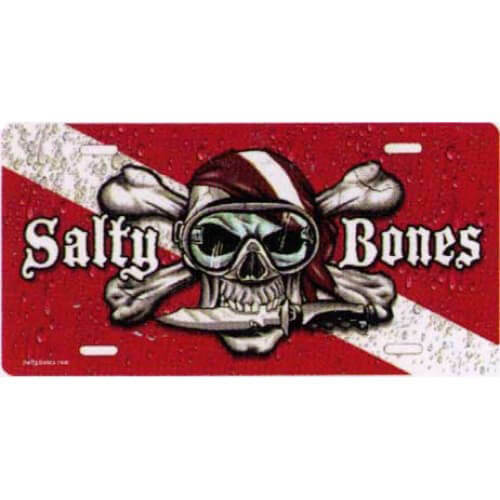 "Salty Bones" skull and spear guns cross on a scuba dive flag background. 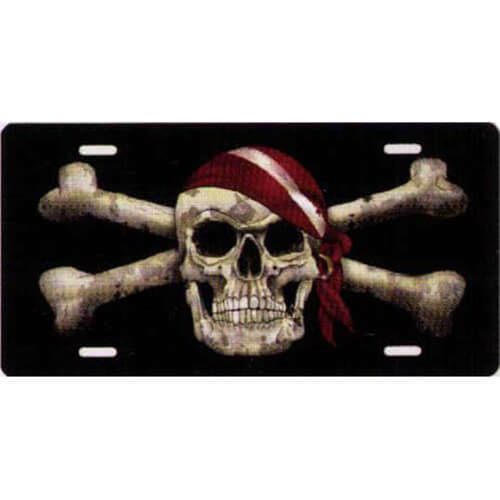 Skull and crossbones, wearing a dive flag doo rag, on a black background. 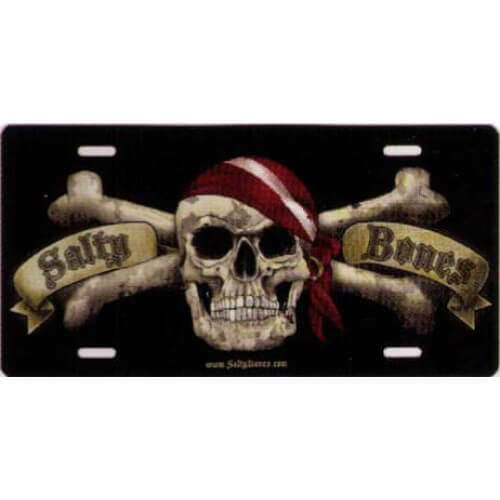 "Salty Bones" With a skull and crossbones wearing a dive flag doo rag, on a black background.